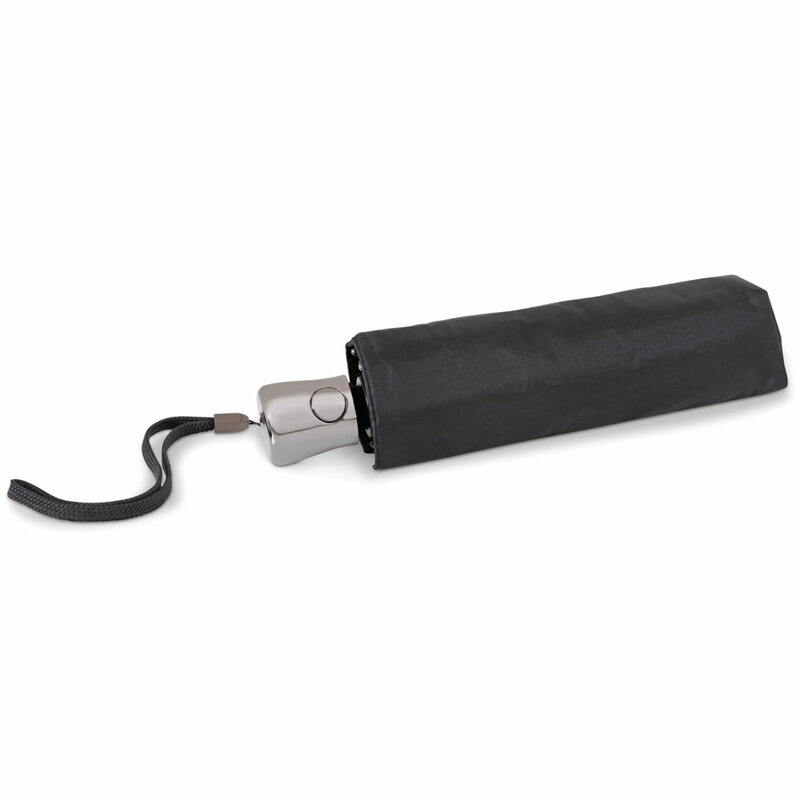 Carried inconspicuously in a purse or trouser pocket, this is the smallest umbrella available that opens and closes the canopy with the push of a button. 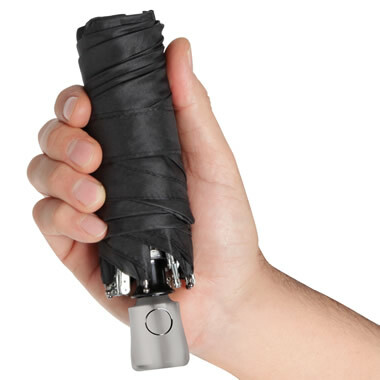 Only available from Hammacher Schlemmer and just 8" long when closed, the compact umbrella instantly deploys its generous 40" diameter canopy when a button on its handle is pressed. When the skies clear, a second press of the button collapses the canopy (as with all umbrellas, the shaft must be manually retracted). 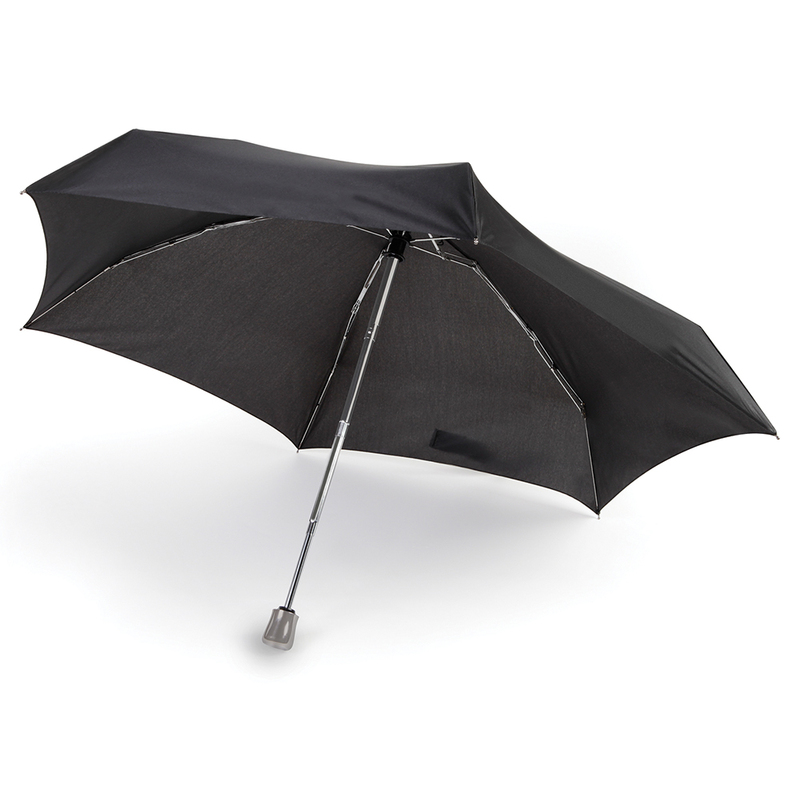 Designed by a third-generation umbrella maker based in rainy Portland, Oregon, the small umbrella is constructed with a nylon canopy and steel shaft, ribs, and stretchers that withstand breezes better than flimsily built compacts made with plastic. And unlike other so-called compacts, it’s small enough to keep on your person at all times, so you’ll never get caught unprepared by a sudden downpour. With wrist strap and nylon sleeve. Closed: 8" L x 2 3/4" diameter. (9 oz.) Black. 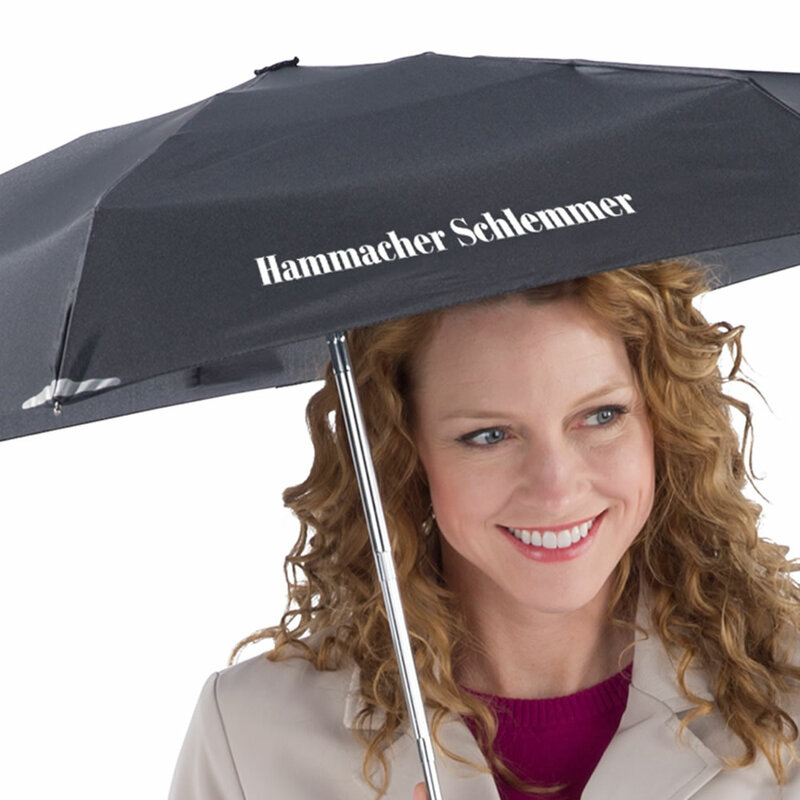 The World's Smallest Automatic Umbrella comes with The Hammacher Schlemmer Lifetime Guarantee. Items that we sell are guaranteed for their normal life under standard non-commercial use.